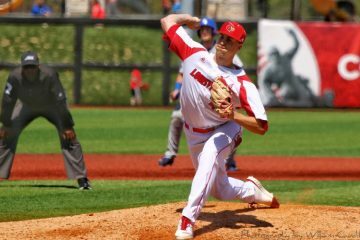 In the first of two midweek games this week, the #28 Louisville Cardinals plated the final 8 runs of the contest to storm back and take down the Wright State Raiders, 8-4 at Jim Patterson Stadium. 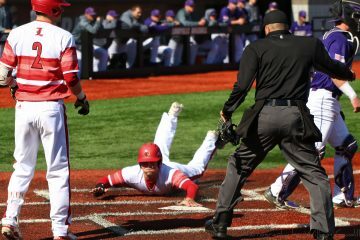 Despite the slow start offensively, 8 of Louisville’s 9 players in the starting lineup managed to reach base safely, with 7 of those coming off hits. While starting pitcher Reid Detmers did allow Wright State to score 4 runs in the first 3 innings, other than that he looked very sharp from the mound. The freshman kept them off the board in the middle innings, and set a career high with 10 strikeouts in the game and zero walks. 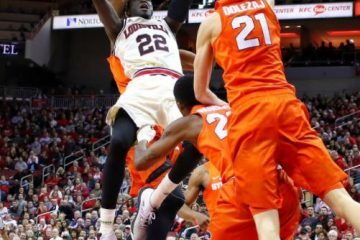 Once again in a familiar position in playing from behind, fortunately the Cardinal Nine’s comeback rally got started early. 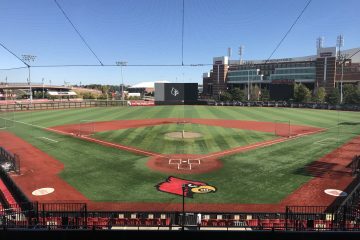 A groundout RBI from sophomore first baseman Logan Wyatt followed by an RBI base hit from junior Josh Stowers in the fourth inning would plate Louisville’s first two runs of the game. 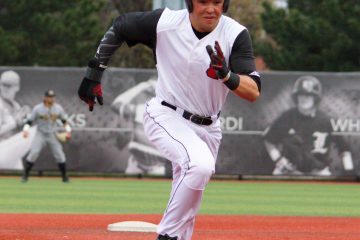 The Cards would put up another 2 spot in the sixth inning to tie the game when freshman outfielder Drew Campbell would hit a sac fly, and Josh Stowers would advance home on a balk. Once tied at 4 heading into the seventh inning, the Louisville offense would really open up. 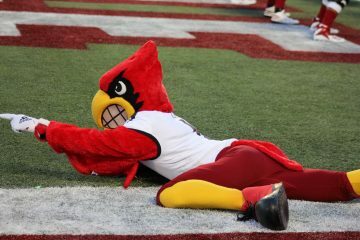 With 1 out and the bases loaded, Louisville would proceed to plate 4 runs. Josh Stowers would walk with the bases juiced, sophomore designated hitter Danny Oriente would strike a 2 RBI double, and then a fielder’s choice from Drew Campbell would bring Stowers home and make it an 8-4 game. Despite the 10 strikeout game, Detmers would not be in line for the win once his day on the mound was done. This day, that honor belonged to sophomore right-hander Shay Smiddy. Entering the game in the seventh, he would pitch 3 scoreless innings to further keep the Raiders off the scoreboard and secure the win for the home squad.